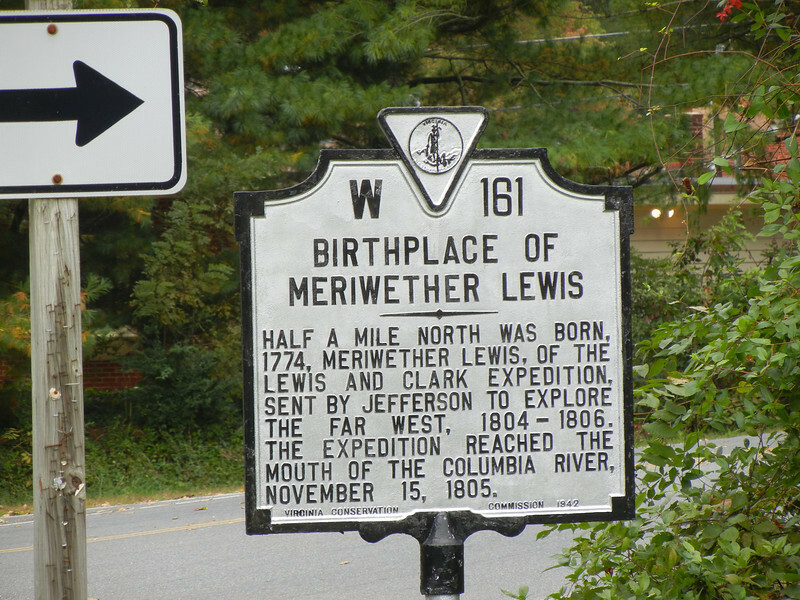 Meriwether Lewis's birthplace is 22 miles west of Charlottesville, Virginia in a tiny community called Ivy, Virginia. At 5 years of age Meriwether lost his father to a winter river crossing. His father, a military officer, was crossing a local river on horseback on his way home and was thrown into freezing river waters and died a few days later from the exposure.